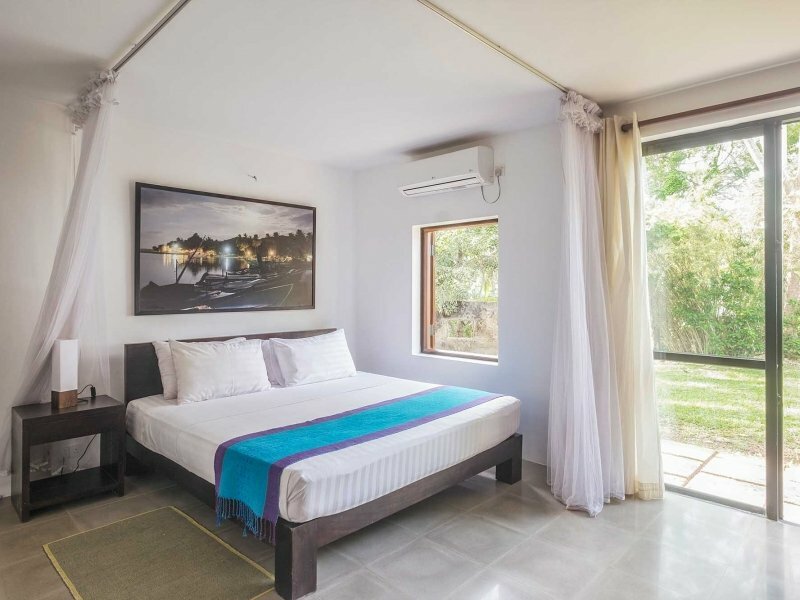 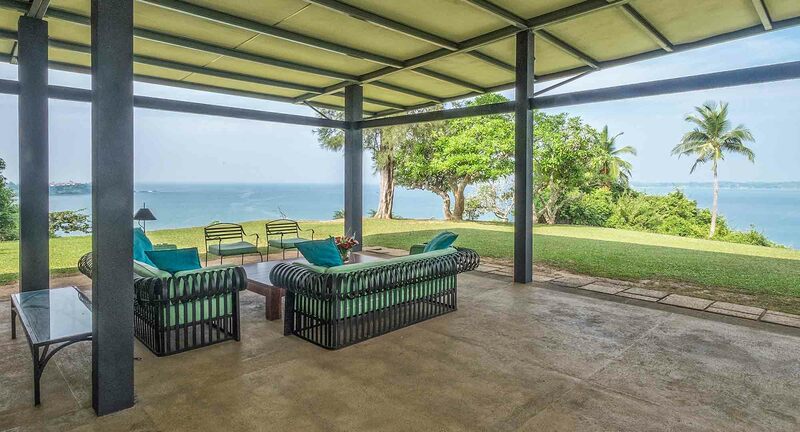 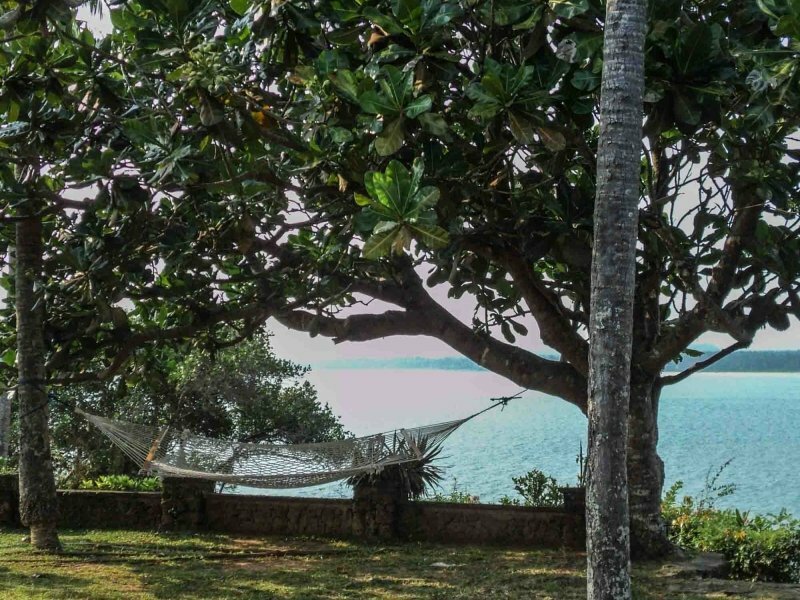 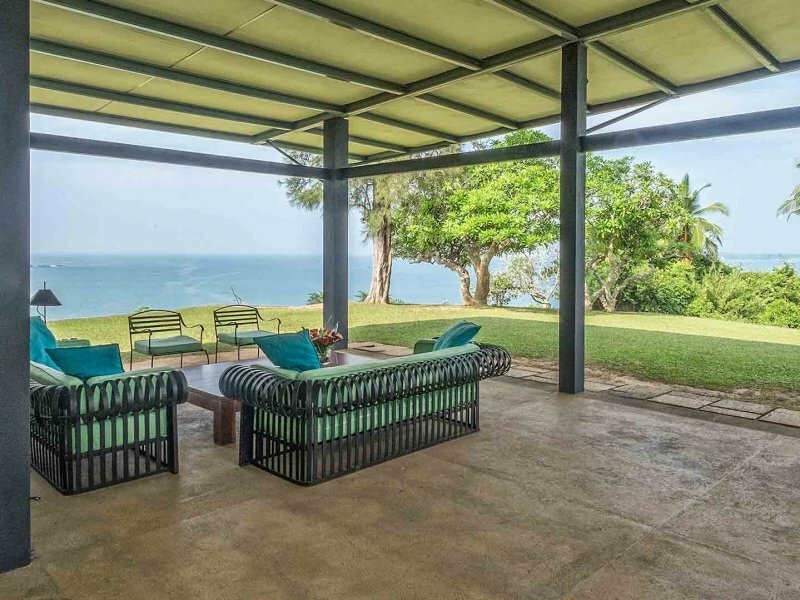 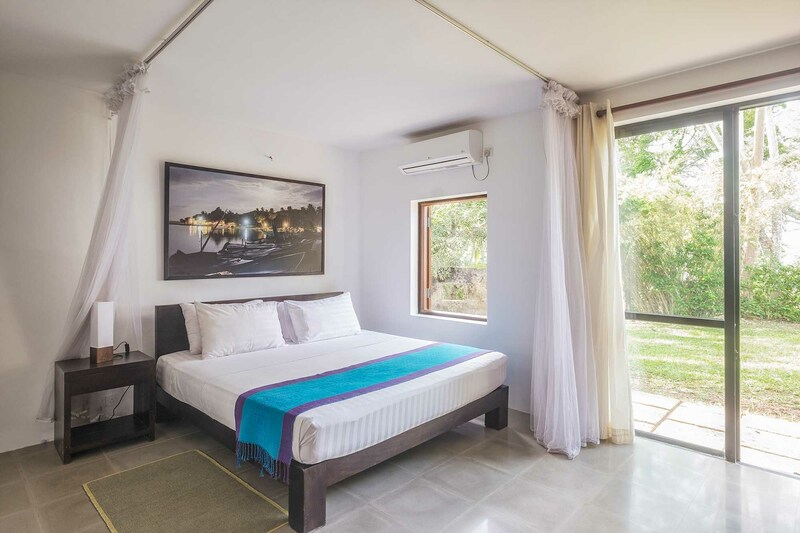 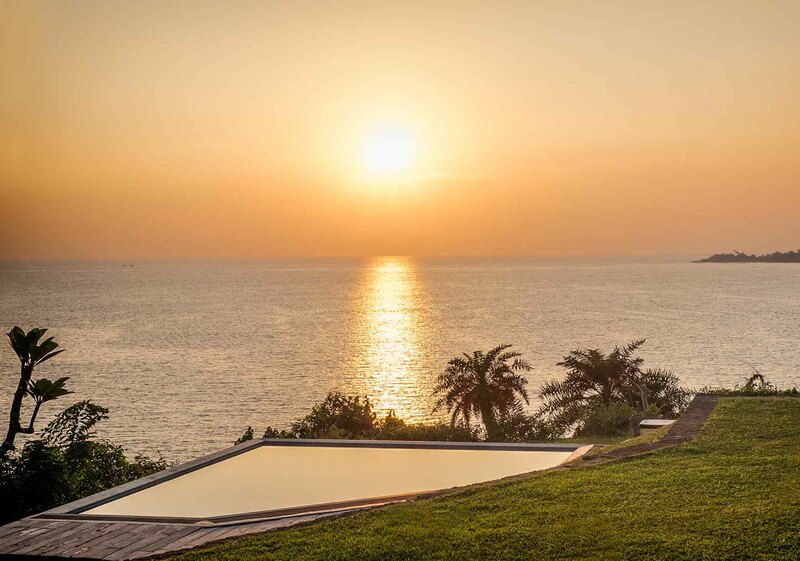 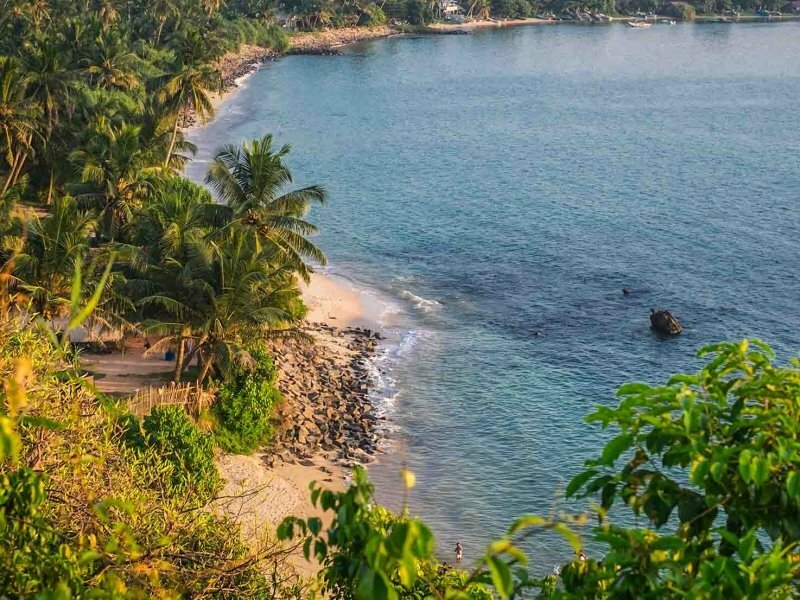 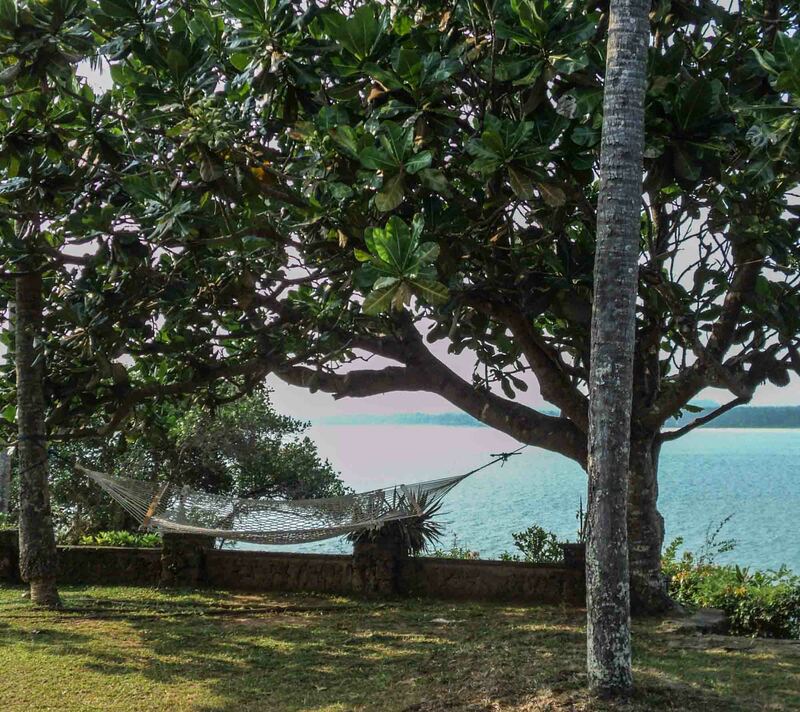 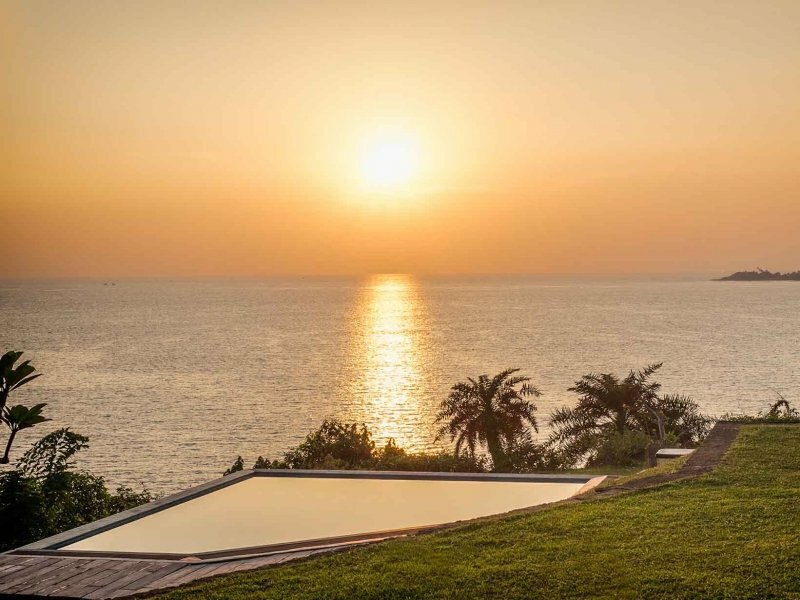 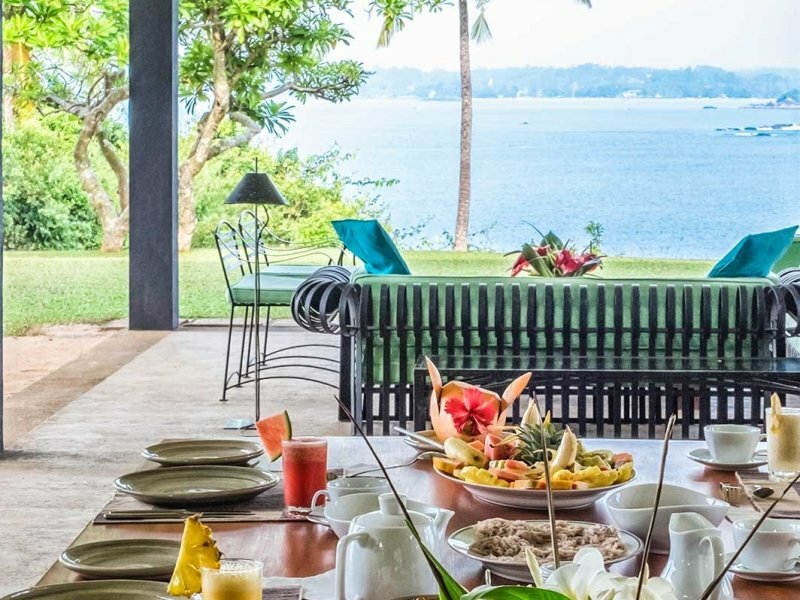 Villa Red Cliffs is an ocean-front 3-bedroom luxury retreat perched on the edge of Sri Lanka’s beautiful red cliffs overlooking the gorgeous bays of Mirissa and Weligama. 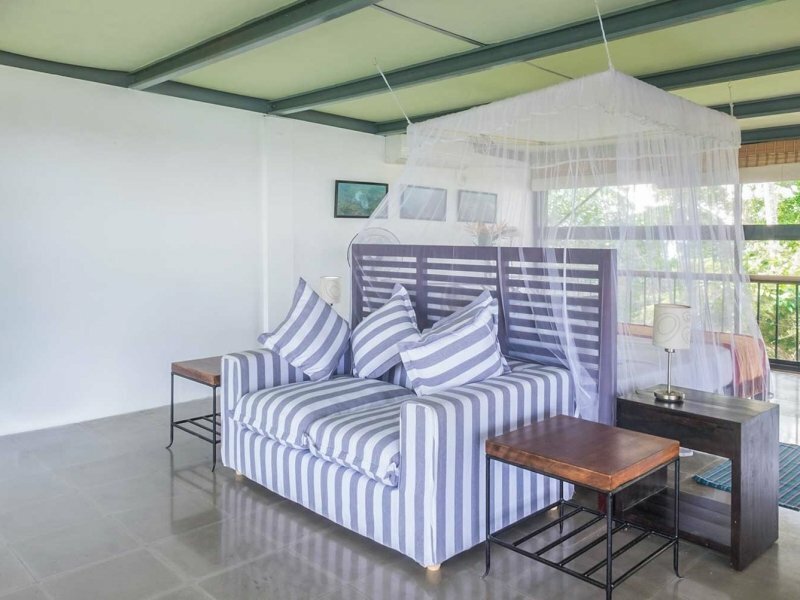 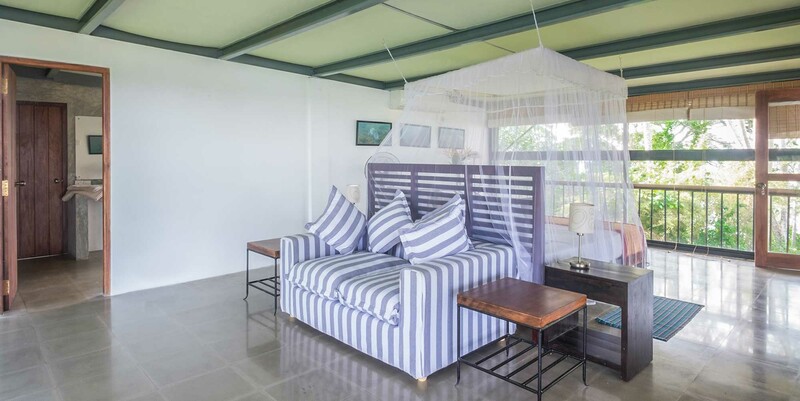 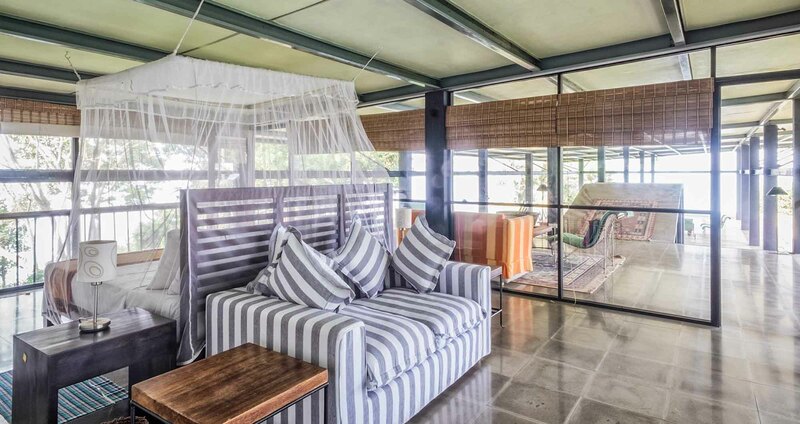 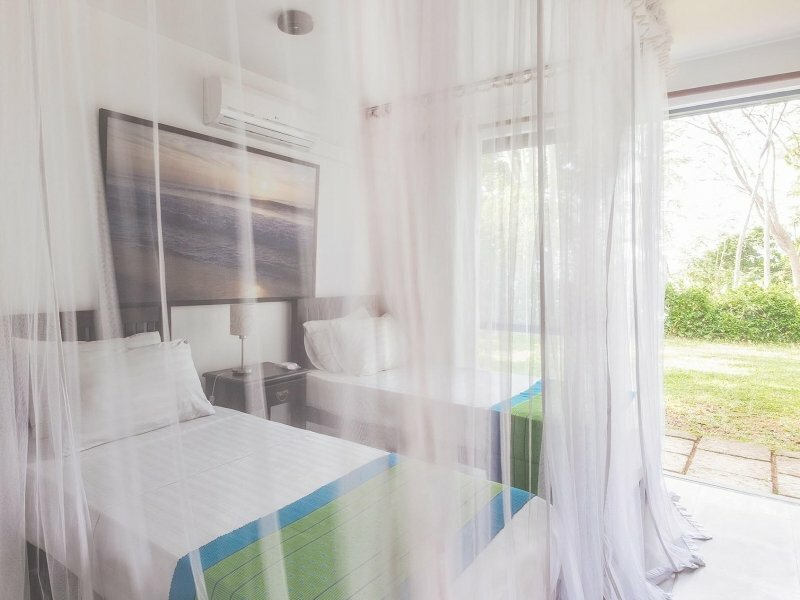 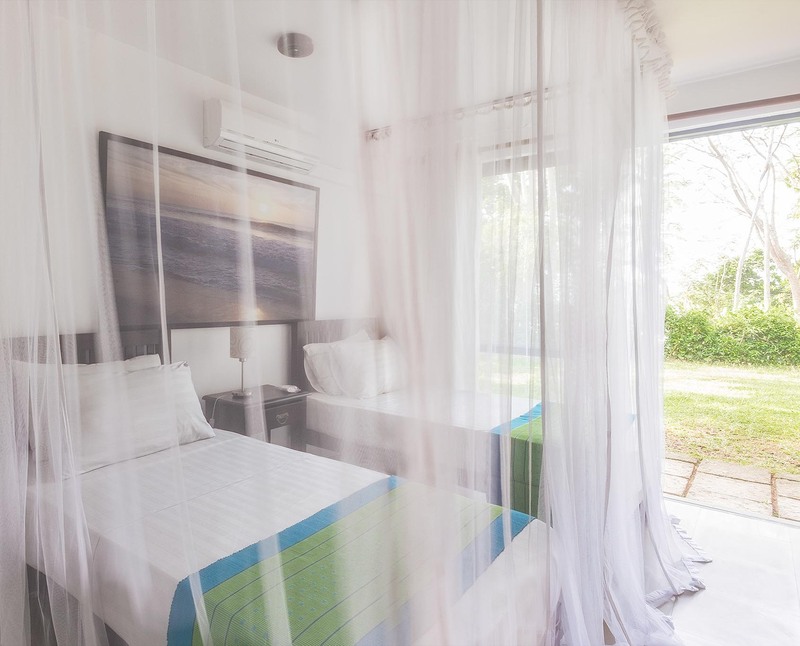 From everywhere in the amazingly beautiful private piece of paradise, you are treated to the panoramic views over the Southern Indian Ocean, the harbors, mountains and white-sand beaches that will take your breath away and steal your heart instantly. 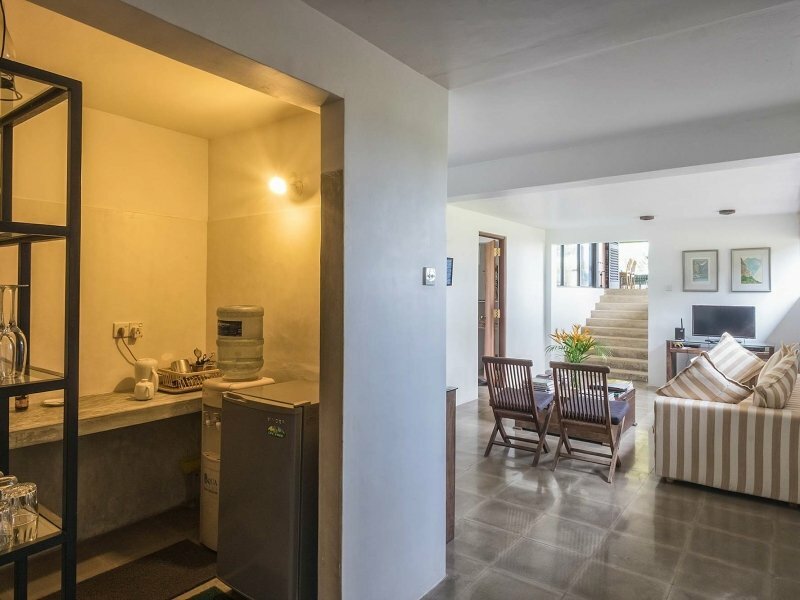 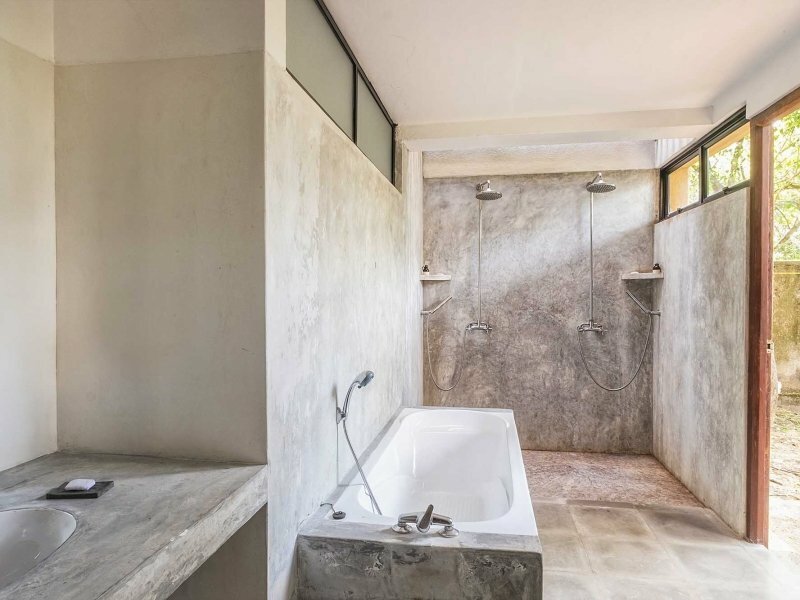 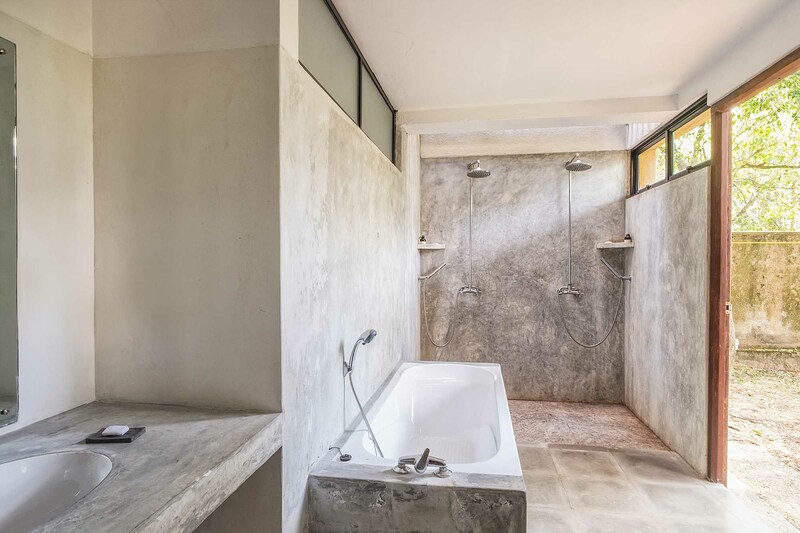 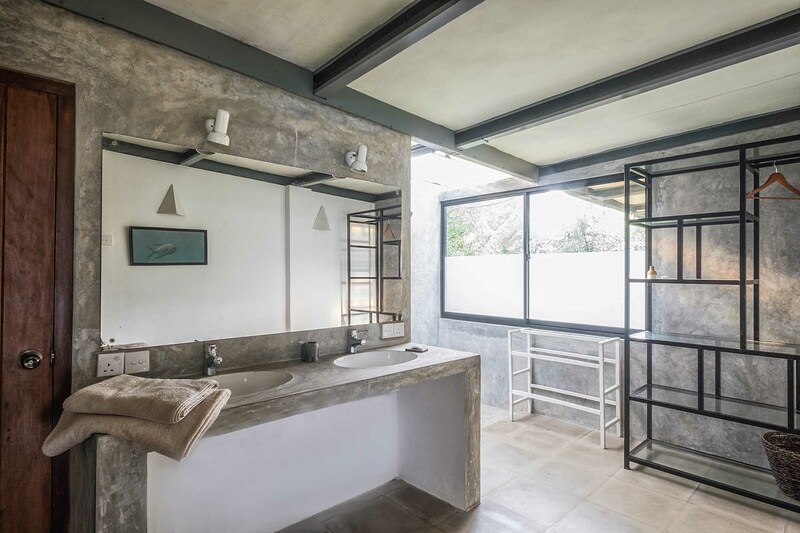 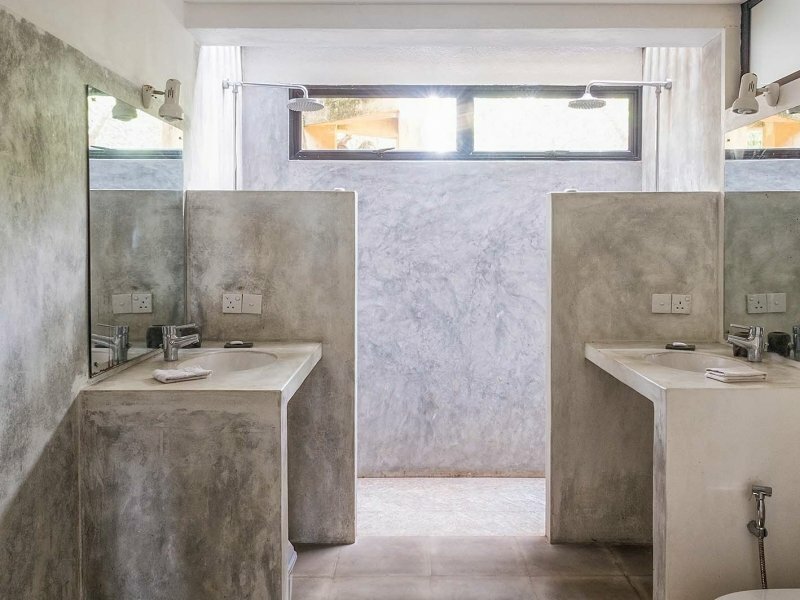 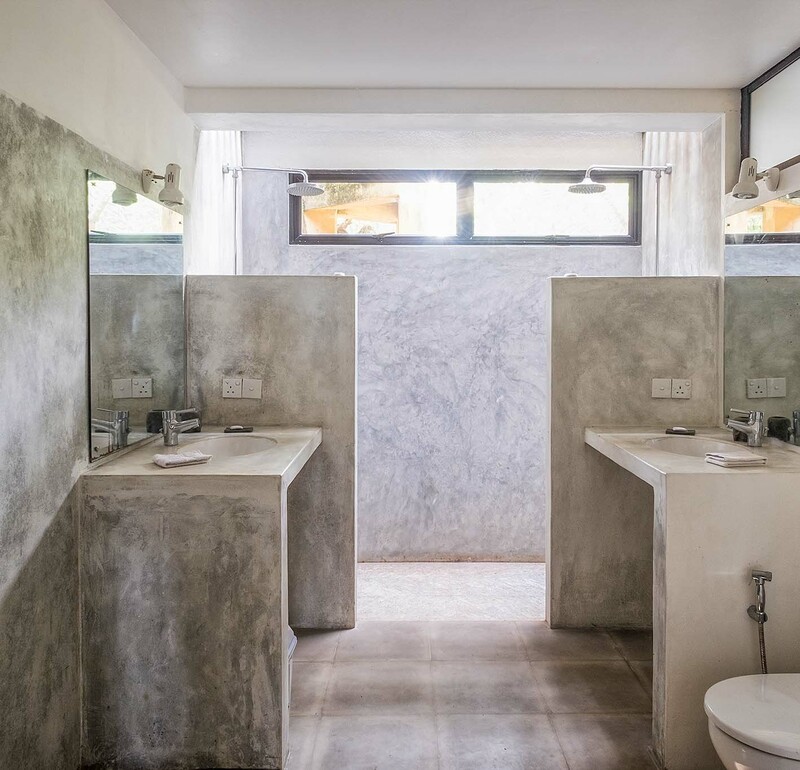 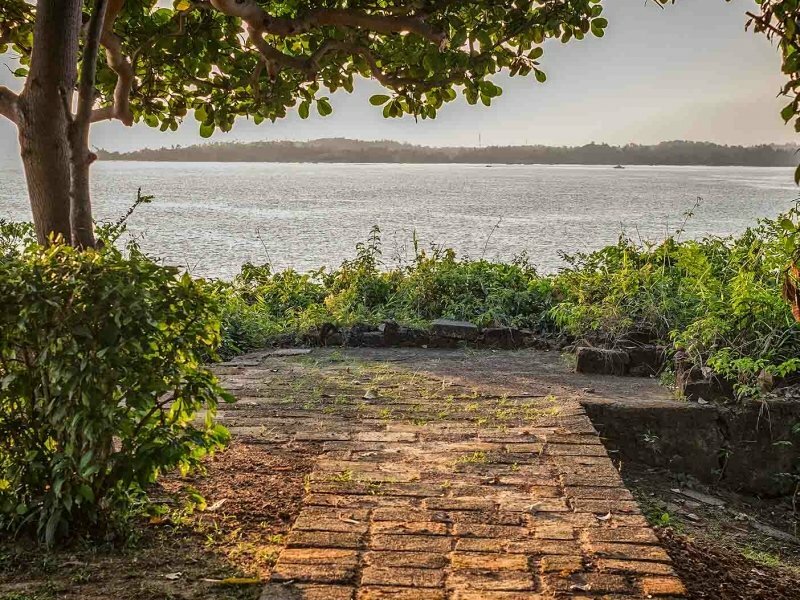 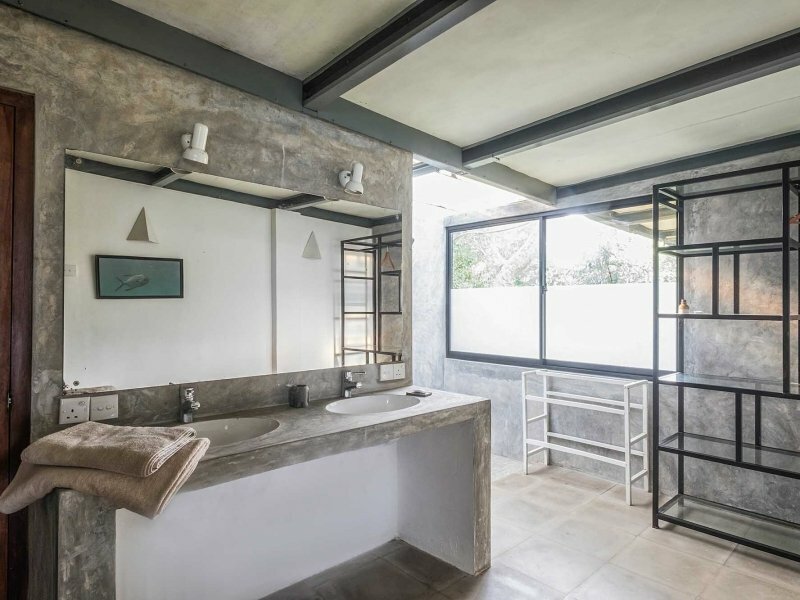 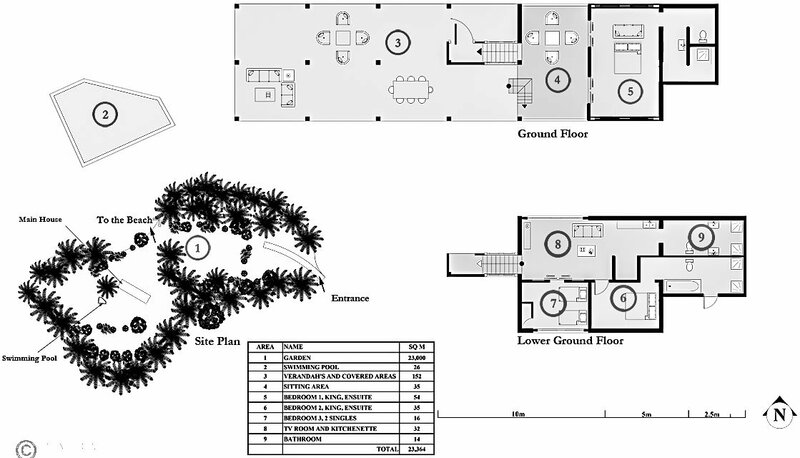 The villa is designed by the renowned architect Geoffrey Bawa giving it its unique charismatic character while surrounded by an expansive tropical garden with a sparkling swimming pool and access to 2 private beaches. 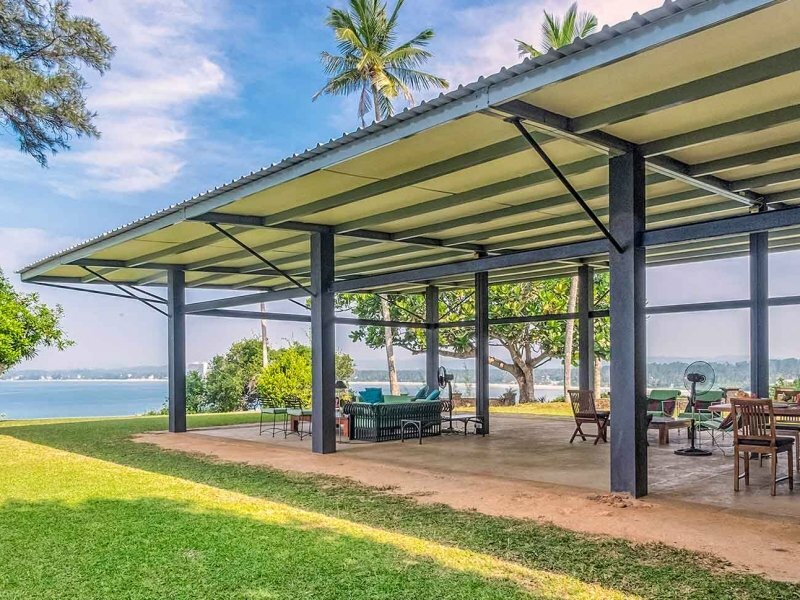 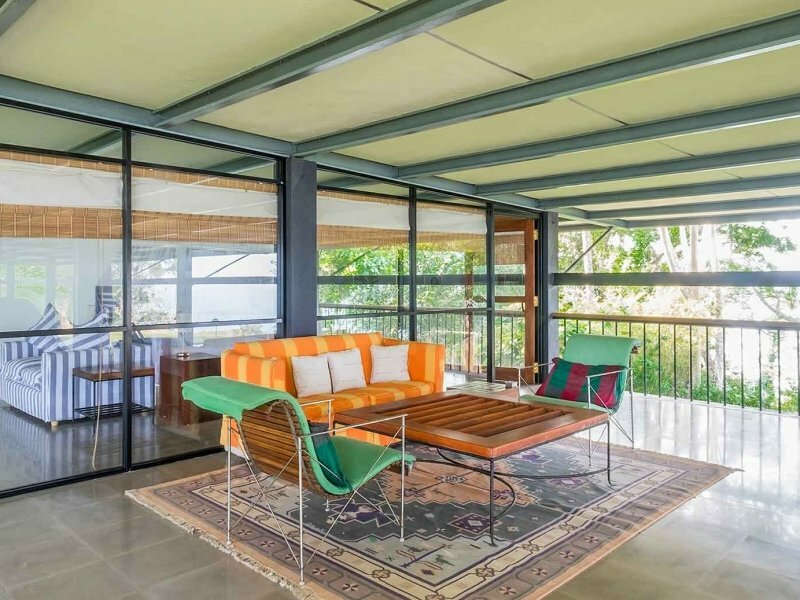 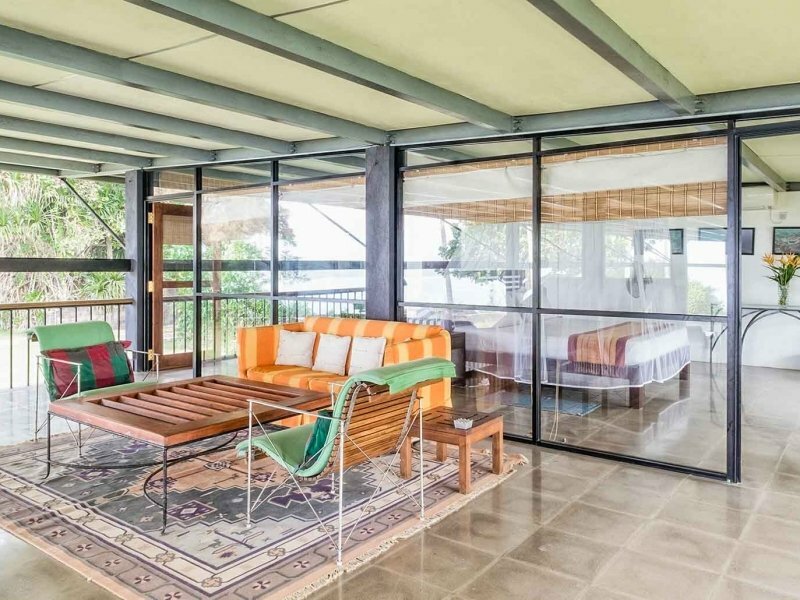 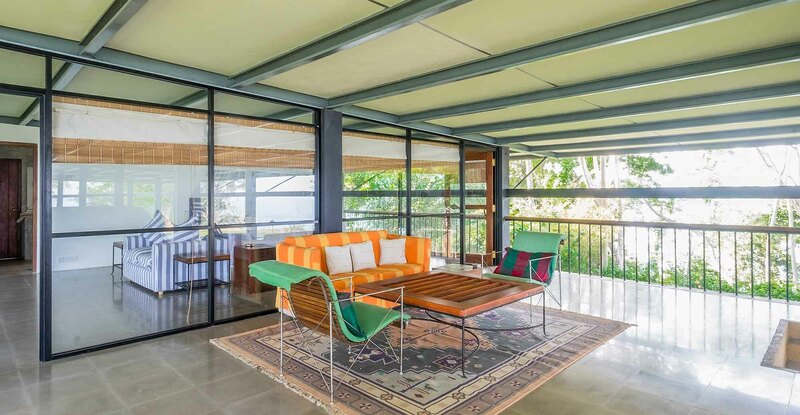 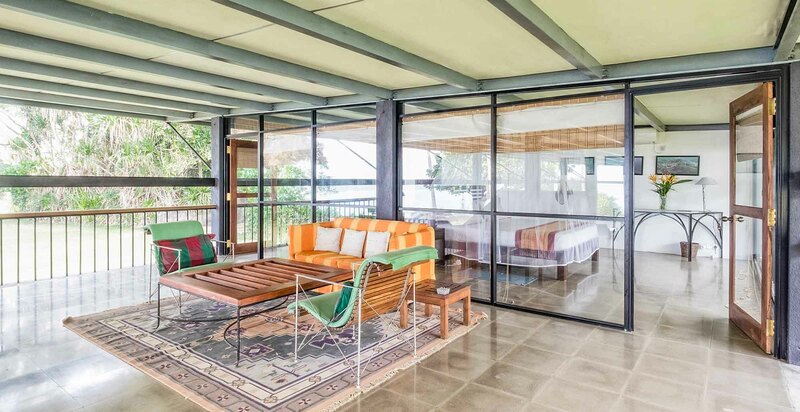 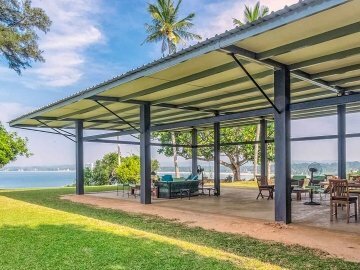 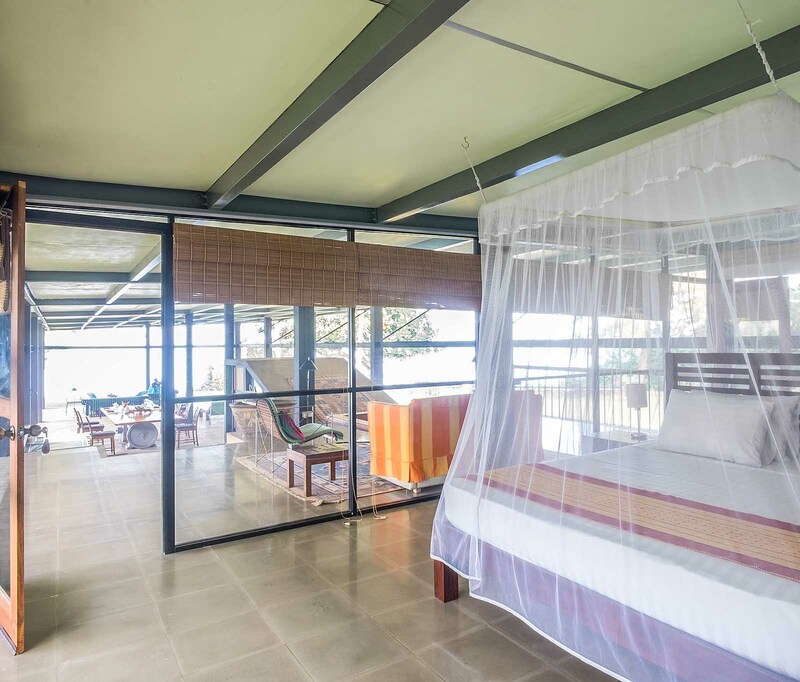 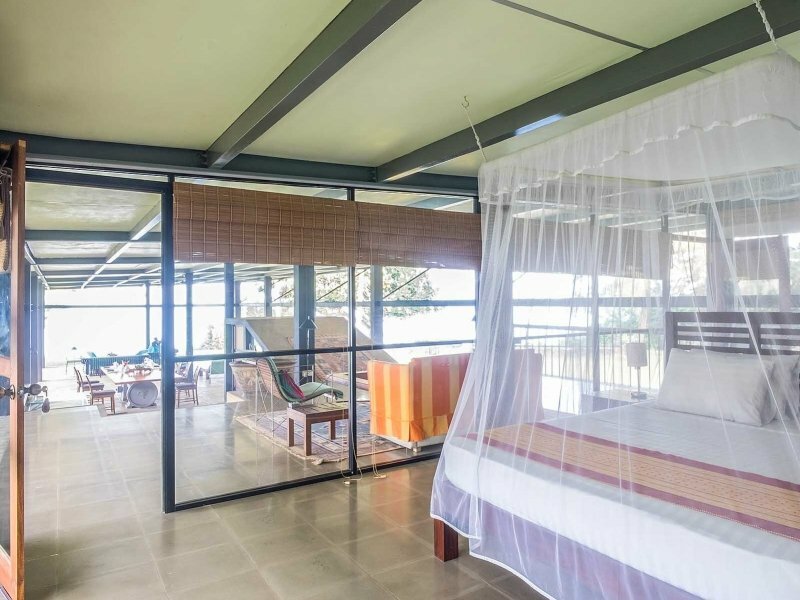 The uniquely designed living pavilion sits underneath a galvanizes steel deck roof and it is designed completely open to the garden on all sides to maximize the breathtaking views and to provide you with a great sense of openness allowing you to experience the tropical life at best. 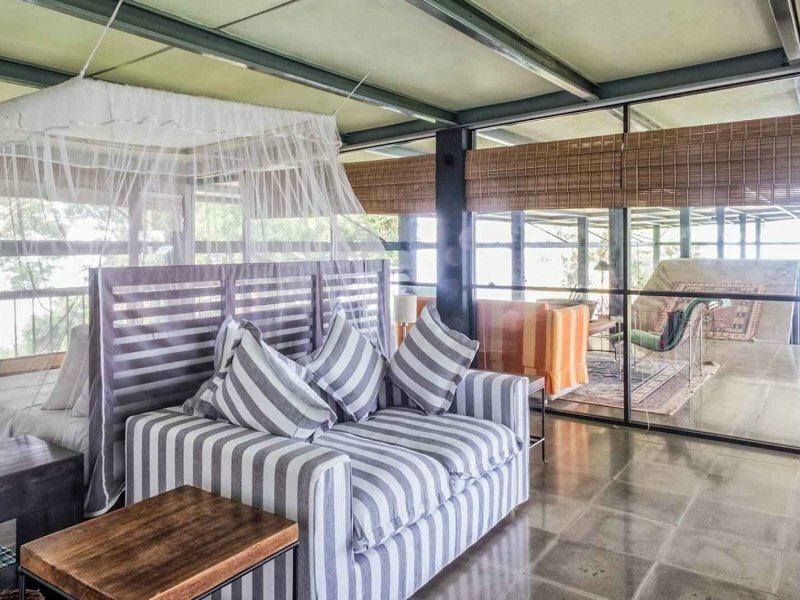 There is a comfy sitting area and a huge dining table that sits on an old electricity generator, giving a modern industrial touch. 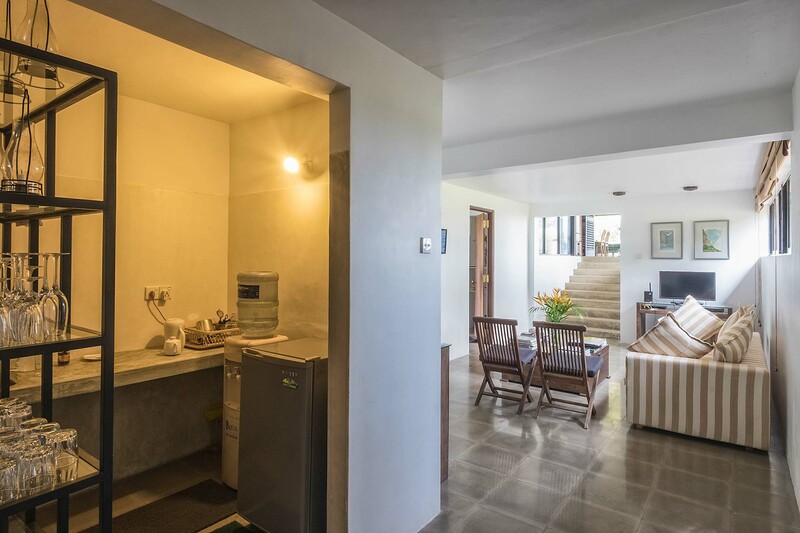 For entertainment, there is a cozy TV lounge where you can watch movies together in the evening. 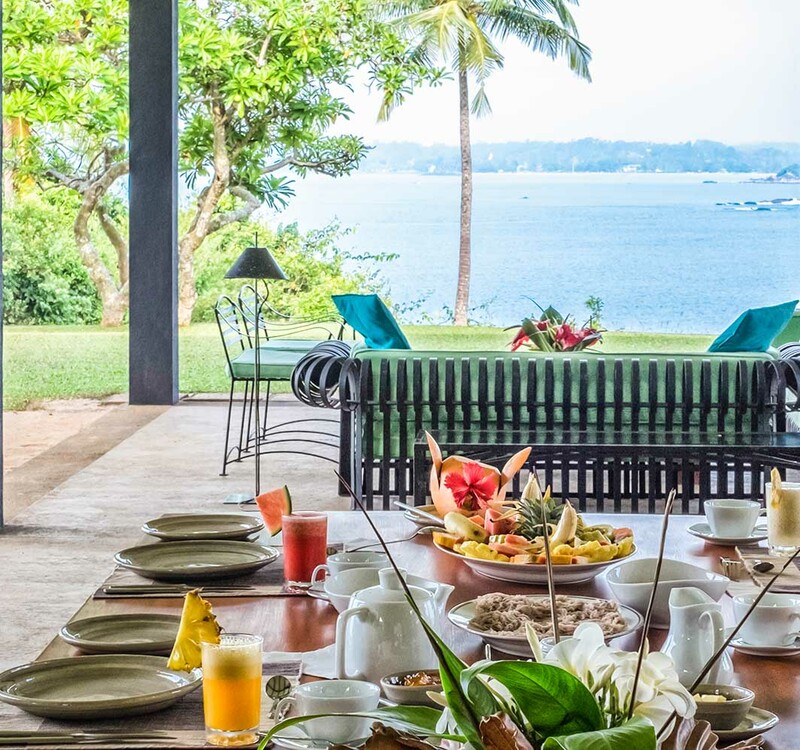 The villa is surrounded by breathtaking untouched nature and pristine beaches where you can go swimming, snorkeling and diving. 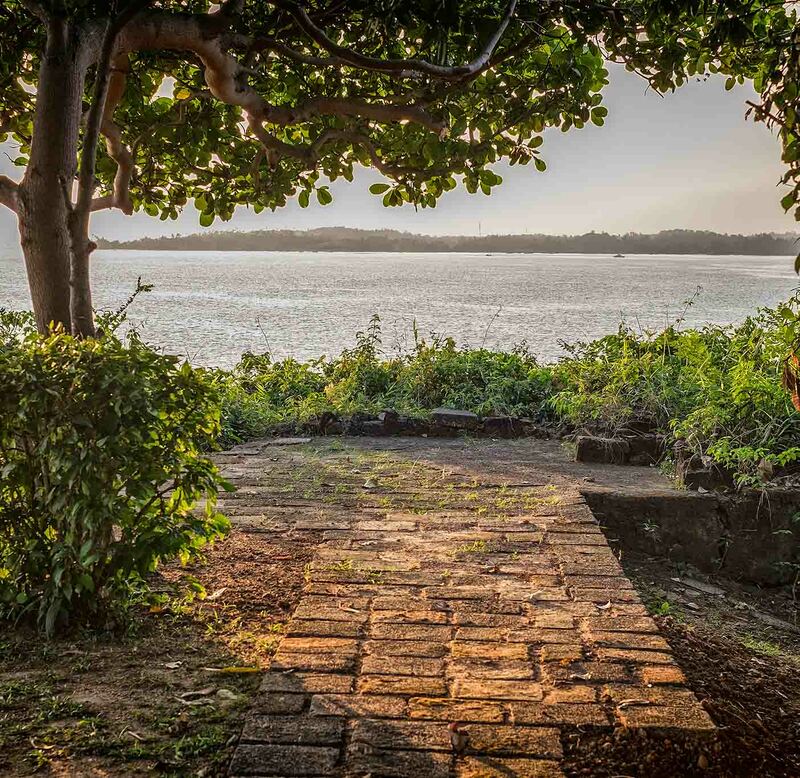 During the calm season, the water of the cove can be so still that even small kids can safely play in the water after building their castles in the sand. 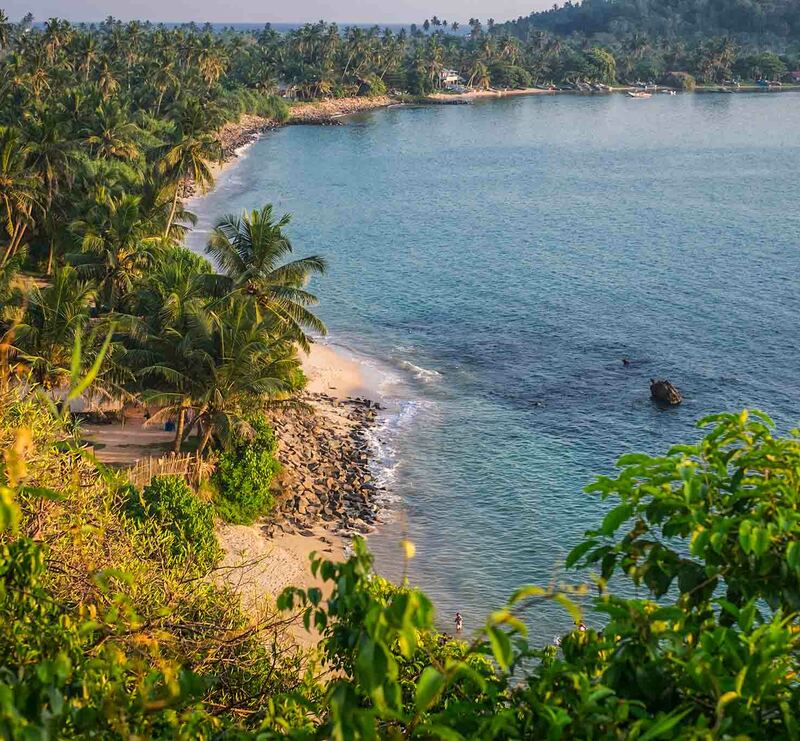 From the harbor you can go on a whale and dolphin watching tour and try the authentic local cuisine at one of the beach-side restaurants. 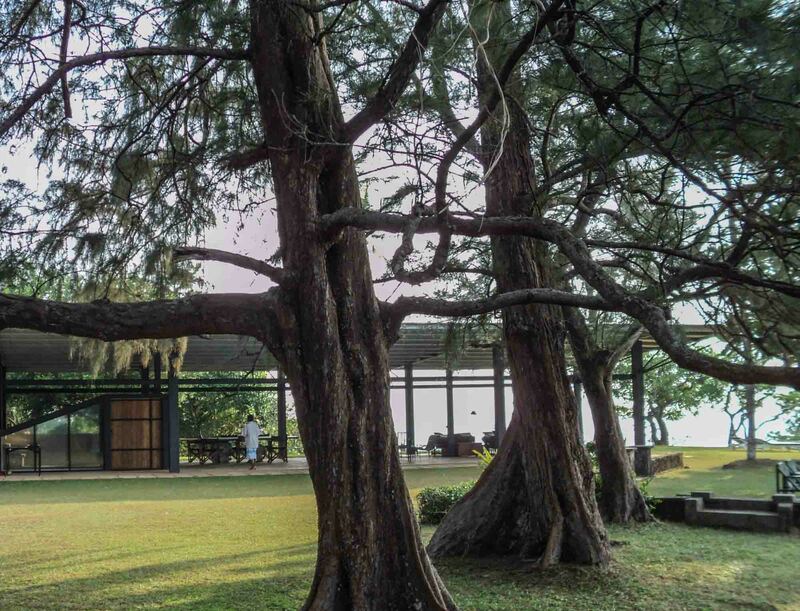 Yogi Patanjali is a great place for practicing yoga and meditation.